Jeep has long been a well-known name in the SUV world--but when it comes down to it, Subaru is hard to beat. If you're looking for a compact SUV, you might consider both the 2018 Subaru Crosstrek and the 2018 Jeep Compass; however, an honest look at both vehicles shows that the 2018 Subaru Crosstrek is much better suited for a variety of needs. Interested in learning more? Keep on reading, then schedule your test drive! We look forward to seeing you at 4045 Wild Chaparral Drive, Shingle Springs, CA 95682. When it comes to design, a crossover SUV should be spacious and capable--and the 2018 Subaru Crosstrek succeeds at this while also having a sleeker look than the 2018 Jeep Compass. You'll find more passenger volume in the 2018 Subaru Crosstrek (100.9 cubic feet, compared to the 99.6 cubic feet in the 2018 Compass), and that's just the beginning! 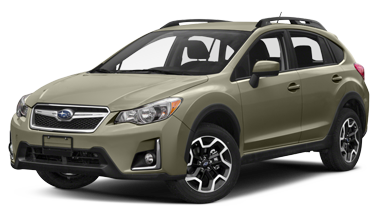 The 2018 Subaru Crosstrek is built for versatility, with its 8.7 inches of ground clearance and standard roof rack for improved cargo capacity. The 2018 Jeep Compass, on the other hand, has a ground clearance of only 7.8 inches, and you have to pay extra to upgrade to a roof rack. When it comes to off-road capability and performance, the 2018 Subaru Crosstrek once again excels. Its horizontally opposed SUBARU BOXER® engine gives it a low center of gravity and excellent balance. Every new 2018 Subaru Crosstrek comes with Symmetrical All-Wheel Drive, making the Crosstrek the perfect choice for daily driving and off-road adventuring alike. 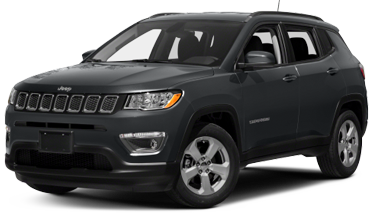 The Jeep Compass, on the other hand, comes standard with front-wheel drive (four-wheel drive is an available upgrade that will cost more). Both the 2018 Subaru Crosstrek and the 2018 Jeep Compass are impressively safe vehicles; however, the 2018 Subaru Crosstrek once again proves superior. The standard Symmetrical All-Wheel Drive does more than just allow the 2018 Subaru Crosstrek to explore off-road: it also makes it easier to stay in control of the vehicle when road conditions are bad. There's so much more that makes the 2018 Subaru Crosstrek special; come find out more at Shingle Springs Subaru!